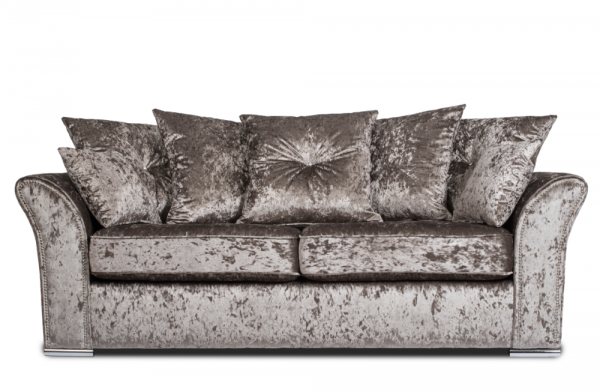 This truffle 3-seater sofa is made from a velvet fabric to create style and sophistication. Create an elegant room with this truffle grey Aurora Collection. This collection also comes in the 2-seater sofa, 3-seater sofa bed and corner sofa.